Delicates & Woolens: We always recommend using a Mesh Washing Bag when machine washing delicate items, like hosiery, lingerie, and woolens. Always select the delicate cycle and use Delicate Wash for silks and delicate synthetics. Use Wool & Cashmere Shampoo for woolen items such as sweaters, knits, and scarves. Performance Fabrics: When not handwashing activewear and swimwear, use a Mesh Washing Bag to preserve elasticity and prevent shape distortion. Denim: Wash distressed, embroidered, or embellished denim in a Mesh Washing Bag to reduce agitation, which preserves color and prevents tears and frays. 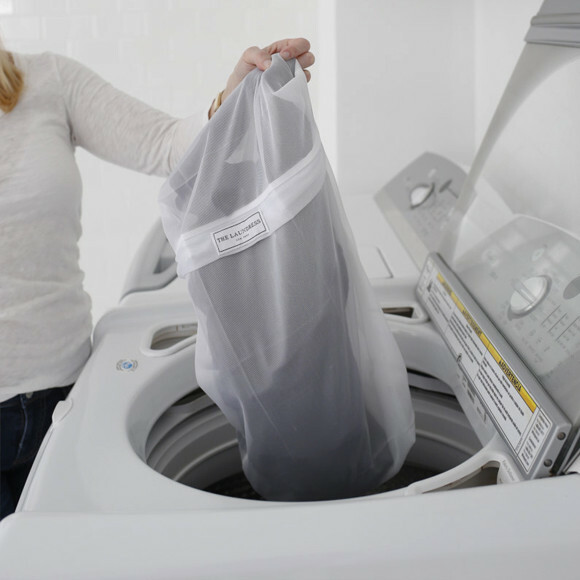 Hardware: If you have an item that has hardware (zippers, buttons, or heavy detailing), insert it into a Mesh Washing Bag so it won’t damage other items in the load during washing. Baby Items: Mesh Washing Bags are perfect for keeping mini wardrobes, socks, and soft toys together to prevent them from getting lost in the machine. To clean hard toys, insert into a Mesh Washing Bag and place in the dishwasher. 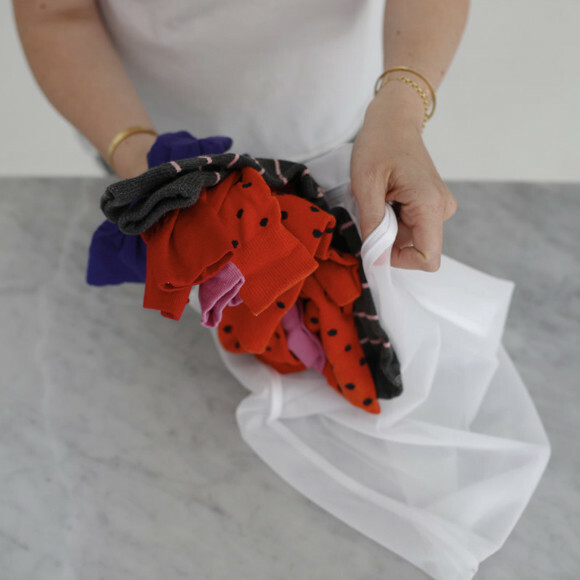 Washing with mesh bags reduces agitation, prevents snagging, and is a great solution for keeping small items together (like socks!). Simply place items inside the bag and zip closed. Do not over-stuff! Use in the washing machine and dryer.